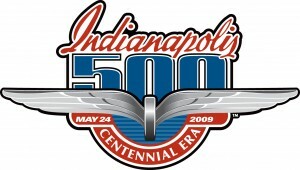 Watching the Indy 500 today? Join him here as he live blogs the race Flag to Flag. Thanks for sticking with me for 500 miles, but we’re not even halfway done. I’m going to take a little break, and be back for the 600. Let’s hope the rain-delayed NASCAR race, should it get started, not be interrupted by nearly as many, many commercials as ABC subjected viewers watching the Indy 500. There were more commercial breaks than laps, weren’t there? If he wins, I hope he climbs the fence. Castroneves has plenty of space between himself and Wheldon. That was so close between Franchitti and Carpenter. 15 to go. It’s Helio’s race to lose. Glad to hear that Vitor was alert. AS soon as I saw that impact my stomach hit the floor. I really hope he’s ok. That was head-on into the wall at 200 mph. Meira on his side on the wall. I hope he’s ok.
Yeah, It is a damn good thing I’m not an oddsmaker. Helio-Briscoe-Wheldon-Danica now the top four.